The palace is built on the Punic-Roman city wall which originally surrounded ancient Panormus. The tower on the south side of the palace is one of the few remaining parts of the old city wall and the only tower in Arab-Norman style that still exists today. It dates back to the 12th century. Above the double-arched Norman windows can be seen the coat of arms of the imperial family of the Hohenstaufen, of the kingdom of Aragonia and the city of Palermo. 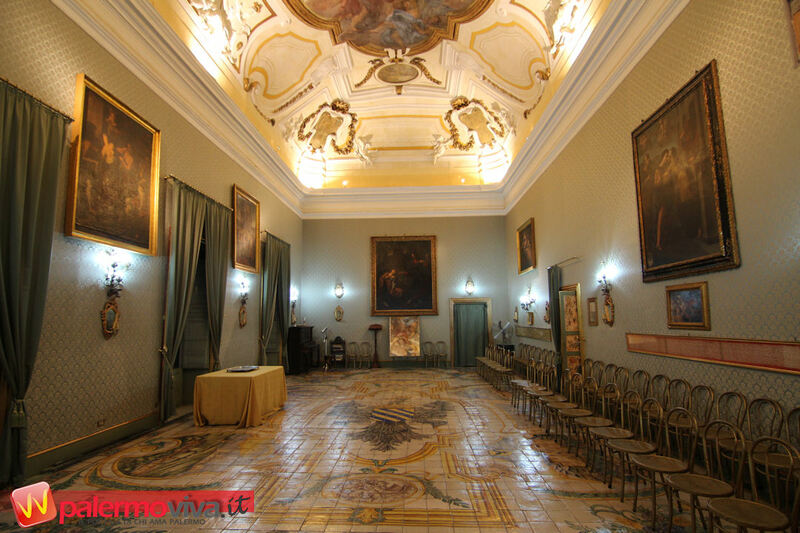 In the course of the centuries Count Federico’s palace has undergone several reconstructions. Because of this you can observe various architectural styles: High painted ceilings from the 14th century, Baroque ceiling frescoes by Vito D’Anna and Gaspare Serenario, various sculptures and Marabitti’s lion fountain from the 17th century as well as the grand stairway with the interior walls done by Marvuglia. In the numerous halls valuable antiques and paintings can be admired. Of special notice is the weapon collection in the knights’ hall. Since Count Federico’s family, which can be followed back to the Staufen Emperor Friedrich II., has lived in this palace for centuries the personal atmosphere remains and makes a visit to this historic building a unique experience. The guided tour through the palazzo is personally done by the Count or the Countess in English, German or French.